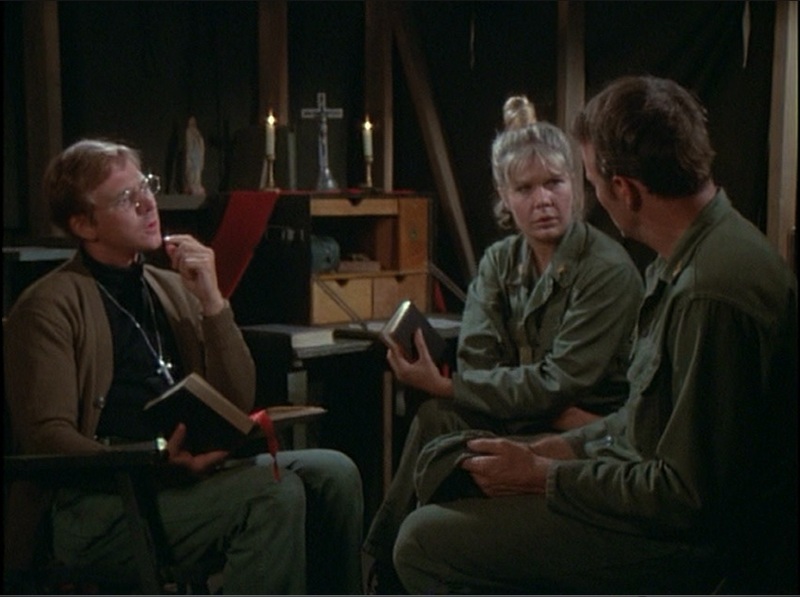 Occasionally it is useful to use clips from various media sources to illustrate chaplain ministry, or maybe like me, you just find it interesting to see chaplains in action in different eras. Sometimes clips are well-known but many are buried in the thousands of episodes and movies that have been and are being produced every year. This section is an on-going project to record the appearance of chaplains in movies, television shows and documentaries, accomplished as I watch my 500+ discs of military-related media. I’ll be adding scenes as I come across them but if you know of any, feel free to leave a comment and I’ll add them. The titles in red are movies I’ve heard have chaplains in them but I haven’t watched them yet to get the times of the scenes. For those listed, the times noted are approximate and will vary based on the type of media -DVD, Blu-ray, VHS, etc- and the version of the film you have. This section is divided into different categories of video media. Follow the links below, or hover over the “Chaplains in the Movies” tab then select one of the categories. eu sou capelão militar da Marinha do Brasil e estou com um Projeto de Doutorado em Comunicação Social para pesquisar o capelão militar nos filmes de guerra. Será um prazer participar deste projeto.